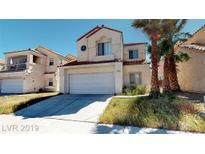 Plateau Summerlin - Covered patio and good size yard. MLS#2088042. Urban Nest Realty. Metropolitans Sontera - Great 2-Story Floor Plan with Master Bedroom Downstairs. MLS#2087975. RE/MAX Unlimited. Country Club Hills Summerlin - Beautiful Home in Guard Gated Country Club Hills, Courtyard Entry, Fully Landscaped, Family room with Fireplace plus Wet Bar with Sink & Refrigerator, Kitchen with Island, Granite Ctr Tops, Desk Area, Breakfast Nook, Plus Butler's Pantry, Formal Dining Room, Large Master Suite with 2 Walk-In Closets, Master Bath w Dbl Sinks and Vanity, Spectacular Back Yard Landscaping With Pool and Spa, No homes behind You! ! MLS#2087950. BHHS Nevada Properties. Sun City Las Vegas - ELEGANT ARISTOCRAT FLOORPLAN*CITY, MTN & HIGHLAND FALLS GOLF VIEWS*SPACIOUS LIVING, DINING, FAMILY ROOMS*LARGE ISLAND KITCHEN W. DESK & INFORMAL DINING*MASTER SUITE W. GAS FIREPLACE-HUGE CA CLOSET-CUSTOM TUB, SHOWER,VANITY*2nd MASTER SUITE ON OTHER SIDE OF HOME W. FULL BATH*3rd BEDRM W. WALK-IN CLOSET*LAUNDRY RM W. SINK*2-CAR & GOLF CART GARAGES*MOST CARPET NEW IN 2018*2 NEAR NEW 14 SEER AC/FURNACES*FRESH PAINTED EXTERIOR*55+ DEL WEBB COMMUNITY MLS#2088037. Signature Real Estate Group. Westpark Summerlin Village - All this and it's on a Cul d' sac! MLS#2088009. ATG Realty Group. Master BR w/ balcony , sitting area, and deluxe bathroom w/ dual sinks & closets. MLS#2087780. AMaxima Realty and Property Ma. Red Rock Country Club - Dog door/run on side. Alarm owned! Gorgeous! MLS#2087816. Easy Street Realty Las Vegas. Summerlin Village - Covered patio with large backyard HOA compliant and ready for your imagination. MLS#2087225. BHHS Nevada Properties. Glenbrook At Summerlin - A great LOFT for work or play. On CUL-DE-SAC. This is IT! MLS#2087727. Black & Cherry Real Estate. 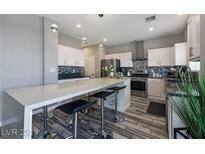 Summerlin Village - Too many upgrades to list and paid off SID! MLS#2087790. Vertex Realty & Property Manag. Belvedere - Sparkling pool/spa w/waterfall*Backyard oasis w/built-in BBQ &covered patio*Wonderful east facing backyard*Soaring 11' & 9' thruout great room plan*Gourmet kitchen w/wine refrigerator, custom cabinets, island, brkfst bar, pantry, granite, tile, dbl ovens, gas cooktop, black appliances including refrigerator*Mstr bdrm features 14'x14' custom closet w/built-ins, fireplace, ceiling fan*Mstr spa bath w/dbl sinks, granite, separate walk-in shower &tub MLS#2087539. Keller Williams Realty Las Vegas. Summerlin Village - Brand New Furniture available with sale. MLS#2087807. Triforce Properties. Talega At The Vistas - Mature neighborhood located on a cul-de-sac. Upgraded alarm system. MLS#2087831. Elite Realty. Star Canyon Summerlin - Located in the coveted Bellacere community,this stunning home has all the amenities of a personal oasis.2 casitas to be utilized as office or exercise rms,2 master suites,dwnstrs&up,basement w/game,media&wine rms.Gorgeous travertine flooring inside&out.Outside offers equally desirable amenities,including 2 BBQ’s,fire pit+fire wall.Front of home features a beautiful waterfall w/fountains in back along w/salt water pool complete w/exercise jets. MLS#2087183. BHHS Nevada Properties. Tournament Hills Summerlin - Outdoor amenities of pool, BBQ and fire pit areas provide a tranquil open air escape. MLS#2087432. BHHS Nevada Properties. Summerlin Village - Spectacular Brand New Semi Custom Home***designer Kitchen With Stainless Steel And Quartz***wood Flooring Thru Out Home***.45 Acre Lot***75 Ft Deep Back Yard With 45 Ft Deep Front Yard***two Dens, Two Office Spaces (could Be Converted To Bedroom With Closet)***large Bonus Room For Game Room/Pool Table***over Sized Laundry/Butlers Pantry With Large Walk In Pantry***pre Wired For Security/Cameras, Wood Trim Around All Openings And Windows MLS#2087722. Urban Nest Realty. Summerlin Village - Pristine Home * Brand New Paint Thru Out * Brand New Engineered Wood Floors * Gourmet Kitchen With Stainless Steel Appliances * Designer Lighting Thru Out Home * Closed Off Interior Courtyard With Total Privacy * Modern Pool With Waterfalls, In Floor Pop Ups And Designer Tile And Glass * Custom Stone Work In Master Bath * Custom Wood Work In Open Living Space Around Fireplace * Home Ready For Immediate Move In For Your Fussiest Buyer** MLS#2087731. Urban Nest Realty. Vineyards Summerlin - Summerlin!Guard gated!Stunning home in the Vineyards located at end of cul de sac featuring beautiful courtyard entry w fp.Main house 5 bdrms & 4 full baths+440 sq ft detached casita w 3/4 bath & its own covered patio!Kitchen w/3ovens,granite counters&island,wi pantry,built in desk open to fm rm w/fireplace &custom built in.Backyd is entertainers delight w/3 cov patios& massive 18'x65' saltwater pool.Freshly painted!Close to fwy/shopping/schools. MLS#2085933. Luxury Homes of Las Vegas. Sun Colony At Summerlin - newer HVAC, new trellis, new water heater, in room safe, front enclosed patio, mature landscaping, skylights add natural light, 2 fountains,2 zone HVAC.Great home awaiting your personal touch MLS#2086900. Realty ONE Group, Inc.
Summerlin Village - *Highly Upgraded TB Home *Double Ovens, Large Island, Stainless Appliances, Back-splash, Walk-In Pantry w/ Cabinets *Marble, Hardwood & Berber Carpets Flooring *Extensive Crown Molding, Luxury Ceiling Fans/Lights, Extravagant Chandeliers & Custom Closets (Mater Suite) *Water Softener, Fireplace, Courtyard w/Fountain *2 Closets w/Cabinets *3 Car Garage Fully Finished w/ Epoxy Floor *Guard Gate, Community Pools, Spa, Tennis, Security, Clubhouse MLS#2087184. Realty ONE Group, Inc.
Summerlin Village - Wood Blinds, Alarm System, Tank Less Water Heater, Gorgeous Master Bedroom With High End Wood Flooring, Master Bath Dual Vanity, Oval Tub And Shower, Large Walk In Closet And Balcony Overlooking Red Rock Mtns. . MLS#2086084. Keller N Jadd. Summerlin Village - Beautiful backyard, turf for kids to play and beautiful trees, beautiful courtyard. MLS#2087482. Acclaim Real Estate. 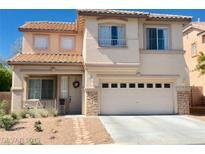 Cantabria Summerlin - Back yard oasis w built in barbecue pit and water fall . MLS#2086488. BHHS Nevada Properties. Cypress Pointe - Hunter Douglas blinds. Ceiling fans in all bedrooms. MLS#2087581. Elite Realty. Sedona In The Pueblo Summerlin - Walking distance to schools, parks, trails, churches, & shopping. Welcome Home! MLS#2086609. Urban Nest Realty.